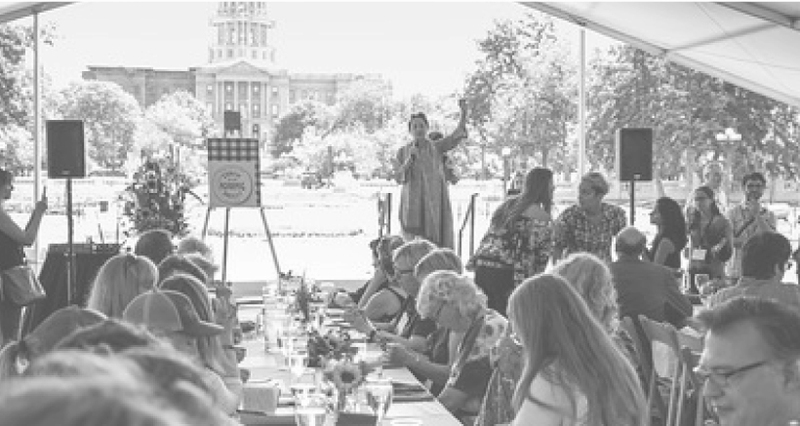 Slow Food USA hosts an annual festival connecting farmers and artisans, chefs and food lovers. It is free and open to the public, with select ticketed workshops, talks and tastings. They want to encourage a revolution of everyday life; to bring people together around good, clean and fair food. Whitegate was hired to coordinate summits, workshops, meals, exhibitors, speakers, chefs, and block parties so that 20,000 attending guests left satisfied. Eighty-two events spanning three days, two hundred and fourteen volunteers, and a goal of zero impact—the festival is a feat in communication, creativity and organization on the part of all involved. We layed out the events, incorporated sponsors, managed visual details and hired, briefed, and managed event captains and volunteers on site. We scouted ideal venues, developed ideas and drew on the necessary partners to execute these roles. Five exciting deep dives into slow-food topics—sessions that began with station-based testing and interactive displays to engage the senses, then a film or keynote speech from an expert on the topic, capped with Q&A, conversation, and cocktails. We set up hands-on workshops with the exceptional talent drawn to SFN: chefs, cooks, practitioners, farmers. Sunshine in your Salumi / A guided tasting with Cesare Casella of Corner Post Meats and Il Porcellino Salumi in which guests learned the importance of sourcing and sustainable grazing. The Ancient Art of Tortillas / Rick Bayless welcomed guests and traditional cook Benedicta Alejo Vargas Benedicta, who invented a three-corn tortilla with red, blue and yellow native corn varieties from Michoacan. She explained the ancient technique of nixtamal and the related mysticism from the perspective of Purepecha indigenous culture. Jamey Fader from Lola and Chef Alfonso Rocha Robles joined her and prepared traditional foods from Mexico. Aw Shucks, an Oyster Tasting / In this hands-on workshop, guests learned about the taste of place in oysters and sustainable sourcing from around the continent. Shucking oysters, they learned how the qualities of fruit available can pair wonderfully with oysters as Sheila Lucero, Drew Deckman and invited chefs guided their tasting, along with Monterey Bay Aquarium Seafood Watch, Eden, and Stem Ciders. Slow Sake Time / Guests tasted the finest sakes: Fukuju-Junmai and Junmai Ginjo, recognized all over the world, offered at the official dinner party for the Nobel Prize. The president of Slow Sake Project, Natsuko Tabata of Japan walked guests through the process of making sake and how to taste its wealth. Sonoko Sakai, a Japanese gastronome from LA, served special dishes to pair while teaching how to cook with koji, the most important and healthy ingredient for making sake, miso and soy sauce. One of the major goals of the festival is to be as zero impact as possible — to do a good job with trash and leave no waste. The difficulty? There are a lot of events under the umbrella of SFN. Our solution was to gather all the food from all the events being utilized as menu items for one final meal. In the commissary kitchen for Slow Food Nations. Chef Massimo Bottura stopped by. The commissary kitchen we set up was in a vacant restaurant, so we quickly ordered an entire restaurant worth of supplies—cutting boards, knives, spoons. Then we went to every event, every block party, with coolers and brought back rescued food waste. Chef Eric Lee inventoried it. Then we recruited chefs from all over the country—Steven Satterfield from the South East, Drew Deckman from Baja, Paul Reilly, Jamey Fader, Alex Seidel, Daniel Asher, Kelly Whittaker, Sonoko Sakai—these chefs could pick from a digital inventory of rescued food waste, and on arrival, make a feast. Extra super ripe peaches? Make a cobbler. Extra donuts from another event? Crumble them up, bake them on top. The ‘waste’ transformed into delicious family-style menu items ready to be shared with 400 guests. The Governor of Colorado attended, and introduced one of the world’s leading culinary figures and our guest for the evening, Massimo Battura. At the McNichols Building in Denver, Slow Food Nations hosted 400 delegates, leading chapters across the country, who arrived for a summit involving different talks and workshops centered around Food for Change. on the civic center lawn. Coffee. Tea. Breakfast. We’d never seen so many people drink so much coffee all day, and when hundreds of people are travelling from all over the US to volunteer, there’s a lot of communication to do. We served as the day-of coordinator and a representative of Slow Food Nations. SF USA hired us to be the onsite coordinator for four block parties, to manage volunteers, verify there’s enough food, maintain a run of show, and to answer the necessary questions, like, generally: how are the guests going to get their food? 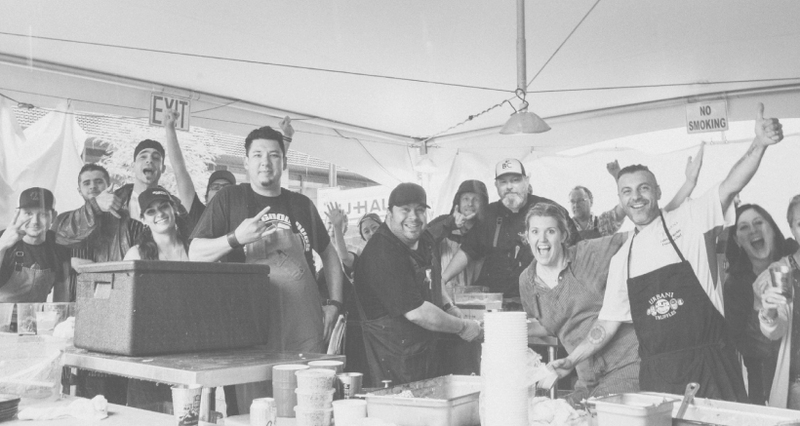 The inaugaural year of the Zero Waste Family Meal saw collaboration from chefs like Paul Reilly, Steven Satterfield, Jamey Fader, Alex Seidel, Daniel Asher, Drew Deckman, Eric Lee, Kelly Whittaker and Sonoko Sakai. The biggest difference between 2018 and 2017? A massive downpour hours before four hundred guests arrived at the dinner. Whitegate needed to implement a seating plan, food execution plan and overall run of show for an outdoor dinner experience in the pouring rain. We managed to pull off a dinner to remember for years to come.